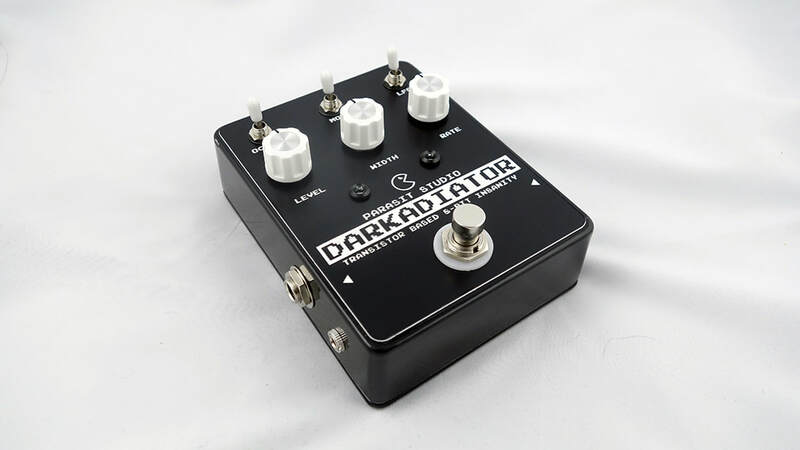 The Darkadiator is a discrete (fully transistor based) glitchy and gated fuzz with PWM, octave down and LFO modulation. This DIY project started as a nerdy personal challenge. 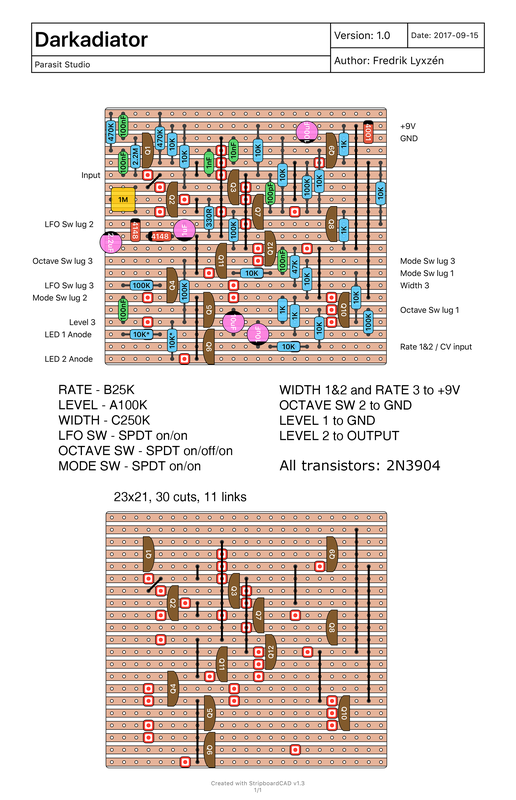 I wanted to build the Arcadiator (the same features), but using only discrete components (no IC's - 100% transistor based) and only using common "jellybean" transistors. I had the complete version running on the breadboard, but I decided to make it a bit different than the original Arcadiator to set it apart and to keep the component count reasonable. 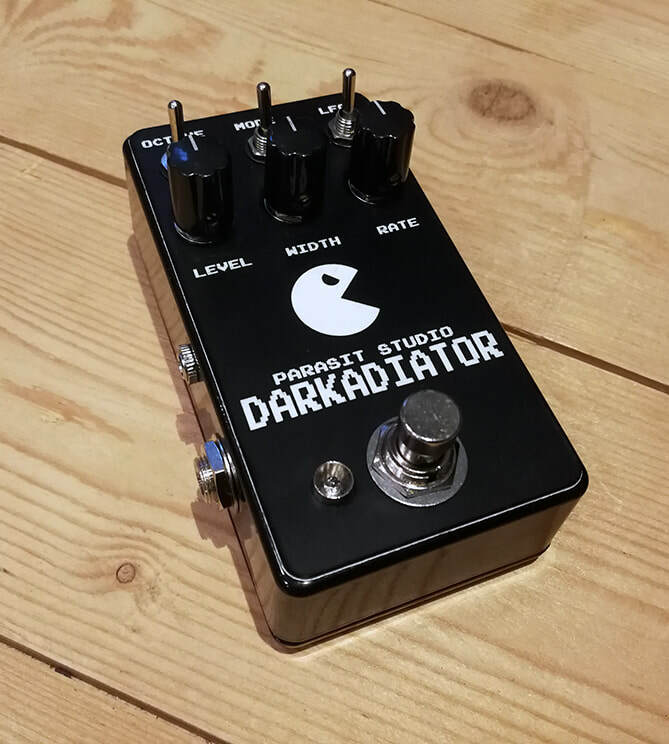 It turned out as a very cool guitar synth: The Darkadiator (short for Discrete-Arcadiator, although the final version is quite different). 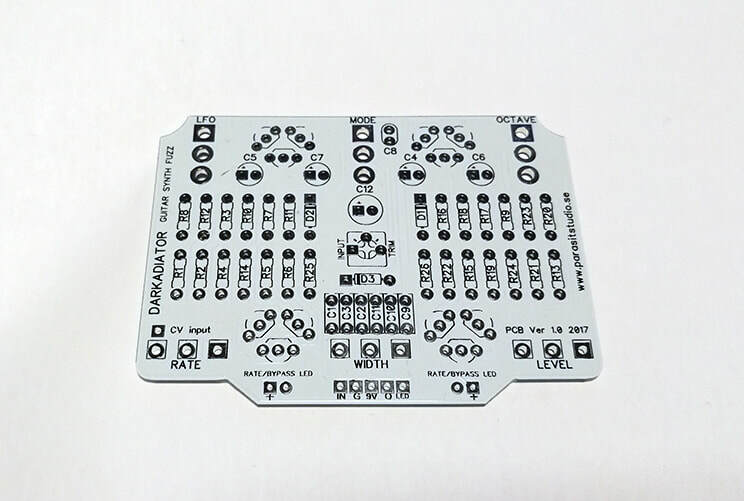 Fully assembled pedal coming soon!